VeryPDF MS Word to PDF Converter can be use to convert word to searchable PDF file direclty. This software also named docPrint and document printer, as it can be used to convert all the printable file to PDF and most of image file direclty. 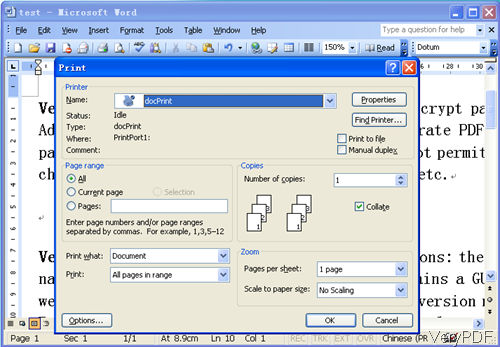 In the old version docPrint, it also can convert word to PDF using printing principle and the output PDF is not searchable. In this artcile, I will show you how to save word to searchable PDF direcltly by this new version docPrint. Download his software to your computer and install it by double clicking its exe file. If the installation is sucessful, there will be a new virtual printer installed. But diffferent with other applications, there is no desktop icon produced followed. Here you may be a wee bit confused about how to launch this software.Please do as I showed in the following part. Open a random word document and press ctr+P on the keyboard. This step can be illustrated by the following snapshot. 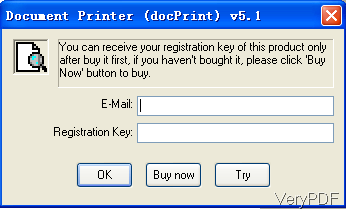 Please choose docPrint as printing driver. Please press OK then you will see the following snapshot. If you have paid for it, please input the code and press OK. If you are to evaluate it, simple press Try, then you can use it freely. If you need to save word to PDF directly, please do as I showed in the following snapshot. Click option File then go to Save to PDF/PS/EPS File. Note: if you choose this option the output PDF is not searchable. When searchable PDF is desired output, please choose option Save to PDF File Directly. Meanwhile, if you need to set page border, page number, start page, and set water mark, please set in the menu option left then click save to PDF file directly. By this way, converting word to PDF and save it to searchable PDF will begin. Note: If you do care whether the output is searchable or not, please use option Save to PDF Directly as the conversion is faster than save to PDF(using docPrint PDF Driver). And no matter your MS Office is 2003, 2007 or 2010, this software will work excellently. If your Office file is Apeche or OpenOffice, this software can help you anyway. But when you do the conversion, simply coresponding word application software should be installed. When you need to convert word files to PDF, EPS, PS and other image file formats, please use the same way. If the conversion from word to PDF needs to be done together with printing job, this software can help you make that. 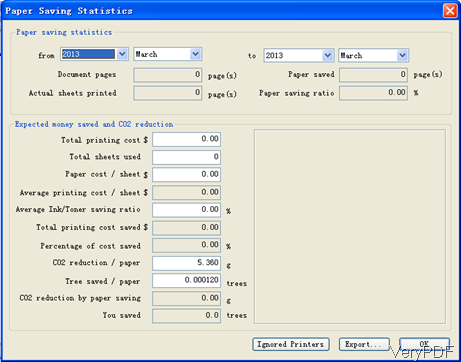 Say during the printing job, you can choose ink saving option or paper saving option. 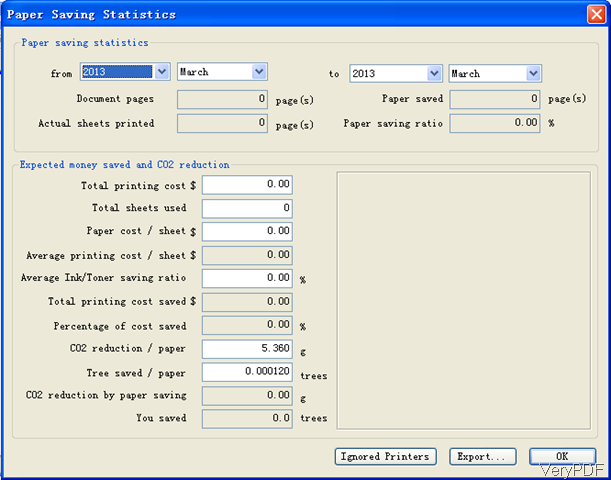 And the saving statistics can be viewed. Please check details from the following snapshot. Up to here, the instruction of VeryPDF Word to PDF Converter can call an end. During the using, if you have any question, please contact us as soon as possible. All the contact ways on the contact us website are available. How to convert files of AutoCAD to svg?